Tash gave a presentation at a Women’s Conference and TNB seemed to be different in that I was given an assessment prior to me starting, so my problem areas and pain points could be addressed. TNB is a cross between a personal trainer and a physical therapist. My body is sore from working out, but I am not in pain and that is a huge blessing. I am stronger, more flexible, I have more energy, and no pain. Yes, we set goals and then reach them and then set new ones. Weight loss for me is a goal and every day I am working at it. TNB is different. Your not just joining a “gym” to lift weights, take classes, and do cardio. The staff watch you every workout to make sure you are within your ability and to ensure you are doing proper technique to avoid injury. The #BigPayback is nearly here and that means two things! 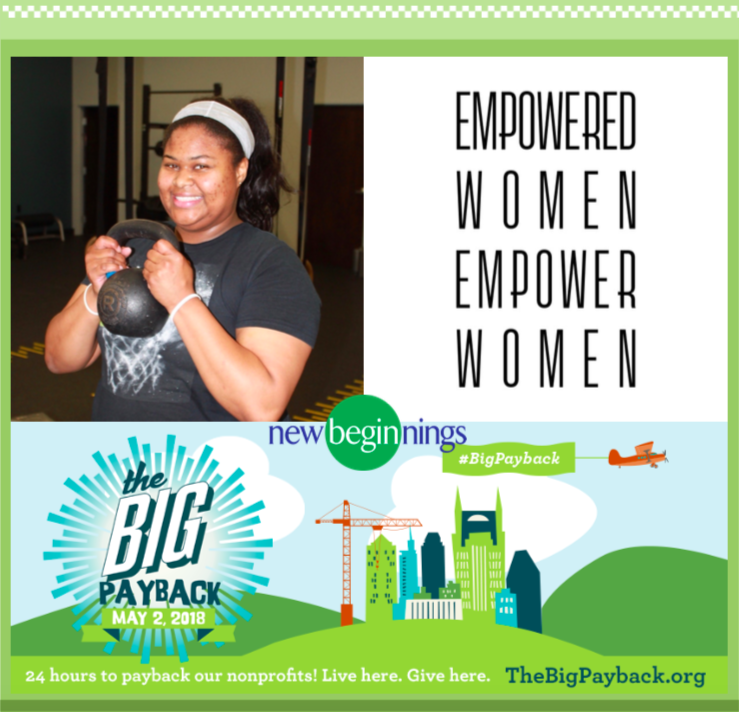 1) Mark your calendar for the #BigPayback on Wednesday, May 2nd! Big Payback is an online giving day organized by The Community Foundation of Middle Tennessee that supports local non-profits of the area. Donate HERE on May 2nd! 2) Join in on the fun at the Gameday Throwdown on May 2nd at Smashville Plaza at Bridgestone arena from 11AM-1PM! Games, media, costume contest and cash prizes will be awarded to various non-profits and we hope to be one! 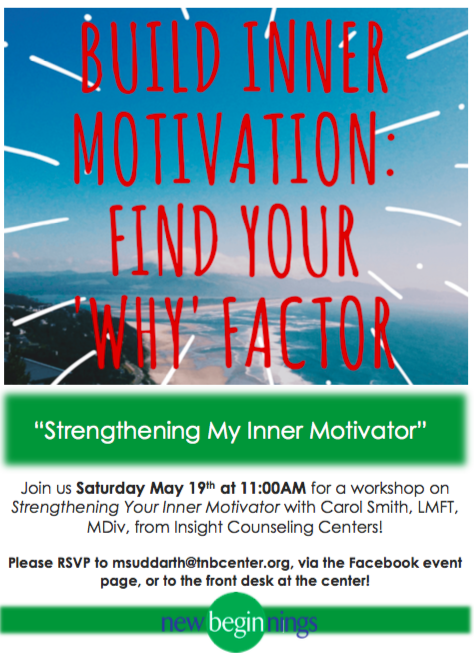 Come represent The New Beginnings Center with us - RSVP to Marielle at msuddarth@tnbcenter.org to stay in the loop! The TNB Fitness team wants to thank each and every one of you for your personal referrals to friends and family! We are proud to train our clients with a proven functional approach that is catered to each woman based on personal history, needs, and goals. Your word of mouth is the greatest praise and marketing - and for that we thank you!